The Jews, Nationalism, and the Universalist Ideal recounts the history of the Jewish nation through a combination of memoir and historical references. Moskovitz explains in detail the problems with universalism, especially in regards to the Jewish people. According to Moskovitz, by creating a world in which no tangible ethnic background exists, the minority group will inevitably suffer. He goes on to prove that most anti Semitism has been spurned by a universalist ideology. 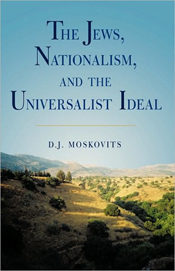 Moskovitz takes a thought-provoking look into the struggles of nationalism and universalism. He recounts his own childhood in Toronto, and includes several anecdotes from his own life and travels. At times, he muses about the nature of man and the need for grand answers to the most difficult human questions. This book explores all facets of the universalist argument, and really packs in a wealth of theological and historical facts. The book includes chapters on the rise of the Nazis and the incitement of Adolf Hitler, which closely examine the social climate of Europe during the Holocaust. Albert Einstein and Theodor Herzl are depicted through their own personal letters and statements. Moskovitz does an impeccable job of weaving his ideas together with solid historical examples. This is a history lesson with a bold message. From ancient Christian universalism to anti Israeli propaganda in current times, anti-semitism is alive and thriving. According to the author, it is the duty of the Jewish people to embrace their ethnicity. Moskovitz expresses strong opinions without preaching or becoming too arrogant. Several points of view are examined, leaving the reader to decide whether or not universalism is morally sound.